Nourishing Your Body for Fertility Health is a guest post written especially for our readers. As an acupuncturist specializing in women’s health, fertility, and pregnancy, I am passionate about supporting my clients to take an active role in their fertility health. Our ancestors were intuitively aware that couples needed to build a strong foundation of health to boost fertility for healthy offspring. But in this day and age, many women only start discovering healthy eating once they become pregnant. And in our society, it seems that men don’t have any responsibility at all in contributing to the health of their baby. But if you are reading this blog, you are part of the change. There is a growing understanding about what our ancestors knew all along: men and women can take charge of their fertility to increase their chances of getting pregnant and having a healthy baby. Chinese medicine has been practiced and developed over the last two thousand years. Today, it is recognized around the world as a safe and effective modality to address health concerns. One of the exciting areas of integrating Chinese Medicine is in reproductive medicine. Fertility clinics are increasingly recommending their patients to acupuncture and Chinese medicine. Some clinics even have acupuncturists on staff. The evidence is there that this holistic approach increases the chances of pregnancy success. Nourish the health of the soil before planting the seed. Let me explain this a little more. To grow a garden, you need to have good quality, nutrient-rich soil, sunlight, and water to produce healthy plants. If you try to plant in dry, deficient, poor-quality soil, you either won’t grow any plants or the plants that do grow will be weak. In Chinese medicine, we believe that we too need to have a healthy body before we plant the seed (conceive).An essential part of having healthy fertility is to nourish the body to promote a healthy internal environment in which to grow a healthy baby. If your environment is deficient from untreated medical conditions, health imbalances, poor quality diet, stress, and environmental toxins, then this may get in the way of conceiving and maintaining a healthy pregnancy. And, it could lead to the kind of health issues that we see in children today. How do you build a strong internal environment? One of the best ways to build a strong foundation is to eat an organic nutrient-dense diet. I teach all of my patients to eat a nourishing traditional diet for their own health and healing. And if they are planning for pregnancy, then they want to especially start focusing on this nutrient-dense diet three to six months before even trying to conceive. I would like to stress that this healthy diet is important for both men and women. A healthy diet is vitally important to boost fertility and have the healthiest pregnancy possible. In traditional cultures, it was common practice to feed couples fertility-boosting foods before they conceived. And this tradition is supported by growing research. A study led by Suzan L. Carmichael, PhD at Stanford University and published in the Archives of Pediatrics and Adolescent Medicine in 2011 found that moms that ate a healthier diet in the year before they became pregnant had a lower risk for a major birth defects in their babies. It’s no secret that eating healthy foods will increase your health. But there’s so much differing information out there on what constitutes healthy food. I like to break it down for my patients to make it really simple. I love the quote by Michael Pollen: “Don’t eat anything your great grandmother wouldn’t recognize as food.” Your great grandmother would eat “real” whole foods. Whole foods contain complete nutrients to nourish your body whereas processed foods are devitalized of essential nutrients. Your great grandmother certainly wouldn’t recognize tubs of margarine, protein bars, boxed dry breakfast cereal, juice drinks, soy burgers, and all the other packaged things you can find in the supermarket or health food store. It’s time to get back to the basics like real butter and milk, whole eggs (especially the yolks! ), whole grains, nuts and seeds, fresh fruits and vegetables, and good quality meat, fish and beans. Wild Fish and Seafood. Choose low mercury fish such as sardines, wild salmon, mackerel, herring, and anchovies. And include seafood like shrimp, oysters, crab, and clams. Organic Grass-fed Dairy like butter, milk, cream, cheese, yogurt, kefir, sour cream, creme fraiche, and cottage cheese. Whole fat dairy is pro-fertility (and there’s even a Harvard study to support this). If you have access to good quality grass-fed raw milk, this is even better. Healthy Fats like grass-fed butter (yes, real butter! ), grass-fed ghee (which is a clarified butter that is naturally casein-free and lactose-free), coconut oil, nuts and seeds, avocado, olive oil, wild fatty fish, lard, and animal fats from meats. Fresh, Organic Fruits and Vegetables. Fresh is always best, but frozen fruits and vegetables are acceptable. Beans and Legumes. The best is to choose dry beans and legumes that you soak in water overnight before cooking. If you choose canned beans, Eden Foods might be your best brand choice since they are the only company that I know of in which the cans are not lined with “BPA” (Bisphenol A is a plastic that can disrupt your body’s hormonal balance). It’s important to note that this same healthy diet is recommended throughout pregnancy and postpartum (and as a healthy daily diet for everyone!). I encourage my patients to start with whole foods nutrition as a fundamental first step to boost fertility. In my holistic practice, I also utilize acupuncture and Chinese herbal medicine to address health imbalances and chronic stress, and to optimize women’s cycles. In addition, we also discuss other key lifestyle factors that will help balance the body to increase the chances of fertility and healthy pregnancy. 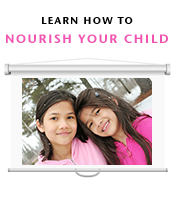 If you are planning for children or already are trying to conceive, it’s time to nourish and fertilize your body so that you can grow a strong healthy baby. The Nourishing Gourmet’s Nourishing Foundations page on why and how to soak your grains, nuts and seeds. Harvard abstract on full-fat dairy for fertility. Daniela is a California Licensed Acupuncturist with a private practice in San Francisco specializing in women’s health, fertility, and pregnancy. She integrates acupuncture, herbal medicine and traditional nutrition to support her clients to have a healthy body and balanced life. She is passionate about helping women and couples to take charge of their fertility health to increase their chances of pregnancy and having a healthy pregnancy and healthy baby. I wanted to add that Daniela has served as a volunteer presenter for Nourishing Our Children, and I utilize her acupuncture services myself! I experience her as deeply committed to supporting the health and wholeness of those in her practice. Do you have experience supporting your own fertility or that of others that you’d like to share? Thank you for such detailed and important information Daniela! Question, Miso is fermented soy. You recommend avoiding all other soy. Has Miso lost the part of soy that we don’t want, when trying to conceive? I personally would limit even fermented soy to small amounts, or avoid it if concerned about phytoestrogens. Daniela may have a difference of opinion. “Long, slow fermentation (as in the traditional production of miso, tempeh and soy sauce) gets rid of the phytic acid and other digestive inhibitors but not the phytoestrogens in soy. Miso is fermented soy; it is a traditional food containing enzymes and healthy bacteria. For some women, soy (any soy) will not be appropriate for their bodies, especially if they are dealing with hormonal imbalances. For women with healthy hormones who are just wanting to increase their health before conception, I don’t find any issue with having small amounts of fermented soy in their diet. Just make sure that the miso is unpasteurized (it will say on the label and you will find this in the refrigerated sections of your health food store). And, I think it is most beneficial when added to bone broth. For a quick recipe, add a spoon of miso to a bowl of bone broth, stir and enjoy. Just make sure the bone broth is not boiling hot, otherwise you will destroy the beneficial live bacteria.